New formula will be unveiled on 6 July. Prime Minister Volodymyr Groysman on 1 July rejected the new formula for the calculation of the price of thermal coal in the determination of the wholesale market price for electricity. "This is a decision of an independent regulator that is not subordinated to the government, but the government will not sit back and watch the price of coal being formed in Ukraine. I believe the Rotterdam+ formula is unacceptable," Groysman told a Cabinet meeting. The formula suggested by the energy regulator links the cost of coal to an index in the port of Rotterdam (Netherlands), taking into account the cost of its delivery to Ukraine. The head of government emphasized that the NKREKU decision triggered an increase in electricity prices for the industry, which, in turn, will negatively impact the competitiveness of the national economy. "Are we creating a competitive economy or, conversely, set exorbitant prices that can have serious consequences for the economy?" said the prime minister. According to the first vice-prime minister, the increase in electricity prices for the industry will spur inflation and push the consumer prices up. "The growth of electricity tariffs will spiral up the flywheel of inflation and prices and affect the welfare of the people, which we cannot allow," Vice Prime Minister Stepan Kubiv supported the head of government. He added that a special meeting of all relevant ministries and agencies will review the formula Rotterdam +. "The formula should reflect the price, and one should not pay too much," Stepan Kubiv said. NCSREU (the National Commission for state regulation in the energy and utilities) in the late April started the application of the new order of formation of the forecast wholesale market price for electricity for 2016 Q 2 to 4. The procedure involves determining the price of coal by the formula "the value in the port of Rotterdam (API2) plus delivery charges to Ukraine"
As a result, the forecast wholesale market price was expected to grow about 13.6% in 2016. Some experts have criticized the new pricing formula for coal, especially the transportation cost component. 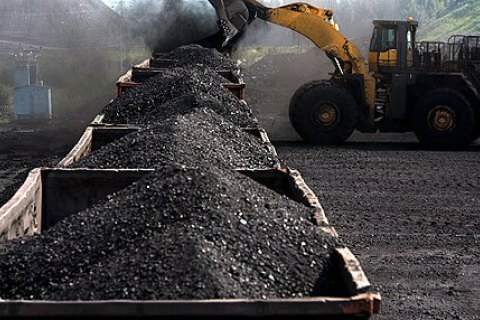 Expert pointed to the low quality of Ukrainian coal, the surplus supply on the domestic market and the proximity of Polish and Russian coal markets.